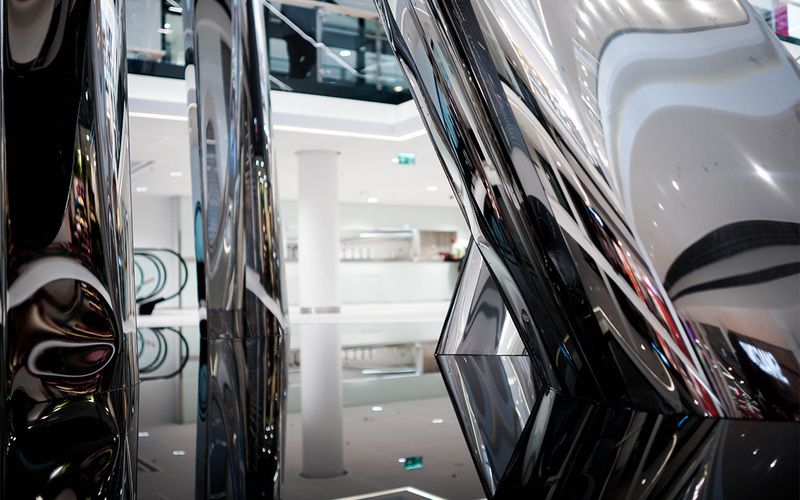 The WIR public sculpture, designed by Oskar Zięta, stands at the very centre of Galeria Północna in Warsaw. It’s the tallest sculpture in Warsaw and the first manifesto of FiDU technology made on such a scale. 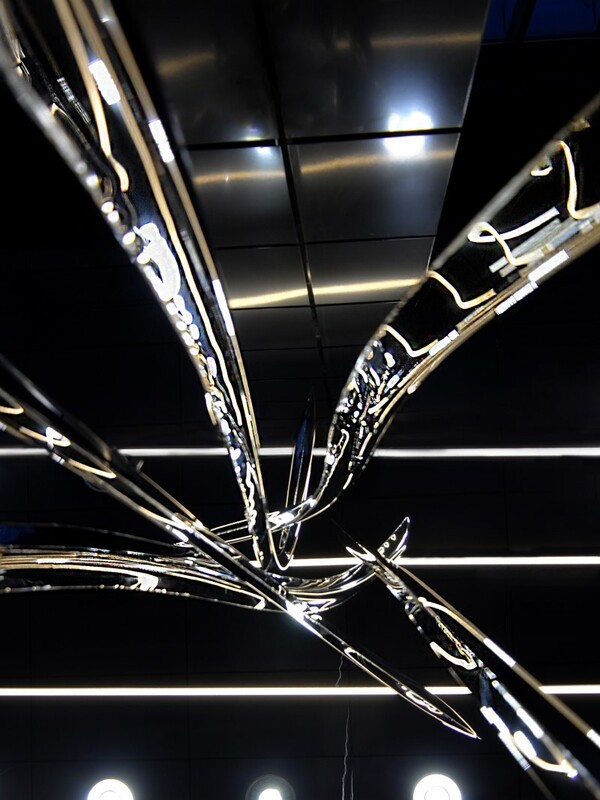 Its unique, steel form is a fusion of contemporary art with architecture and parametric design. 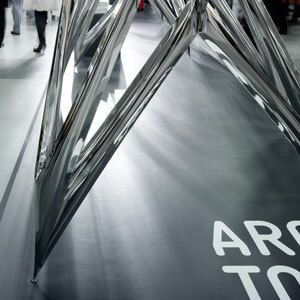 …the tallest sculpture in Warsaw and the first manifesto of FiDU technology made on such a scale. with grass and trees growing on its roof. 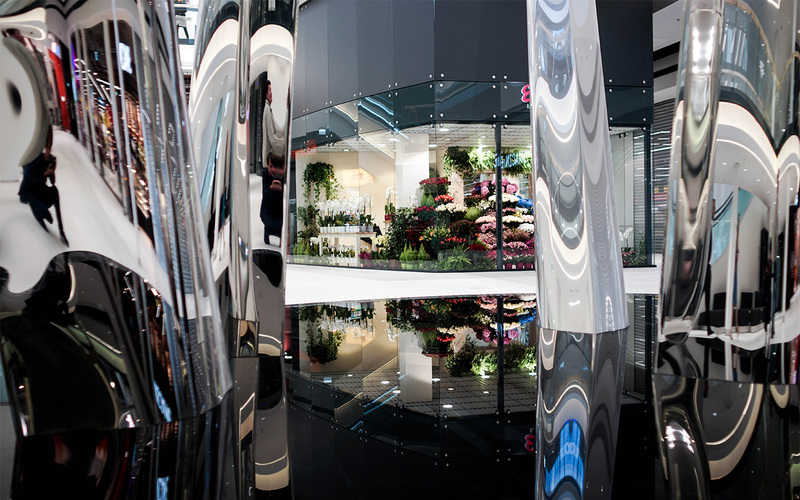 The WIR public sculpture is inspired by natural forms, fits with the visual assumptions of the shopping centre and enriches it with its own technological elements. 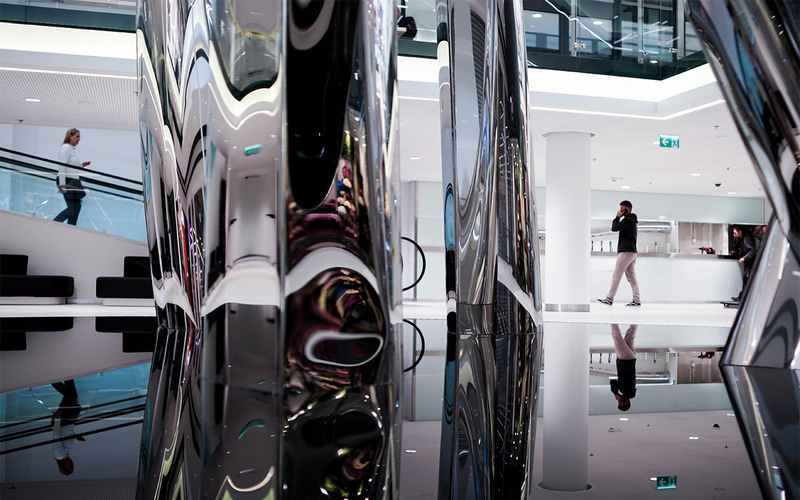 The central location of the sculpture also makes it visible from all the floors. Galeria Północna a prestigious spot for meetings and entertainment. The irregular structure of the sculpture should also encourage visitors to make frequent changes of observation point, hence boosting visits to the centre’s higher floors. 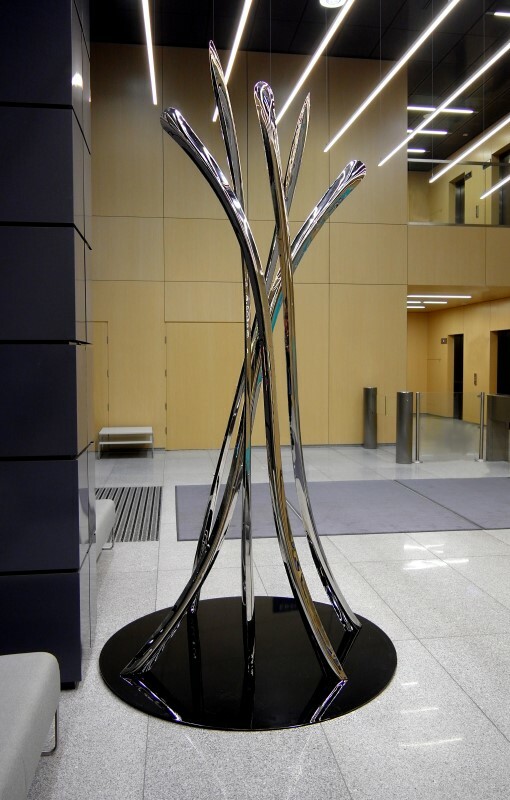 The WIR public sculpture was inspired by nature. 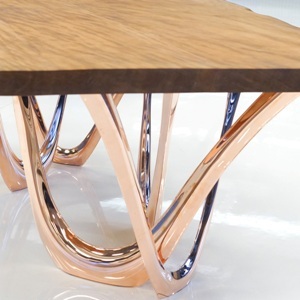 It’s five wavy, intertwining profiles curl around it like streams of water. 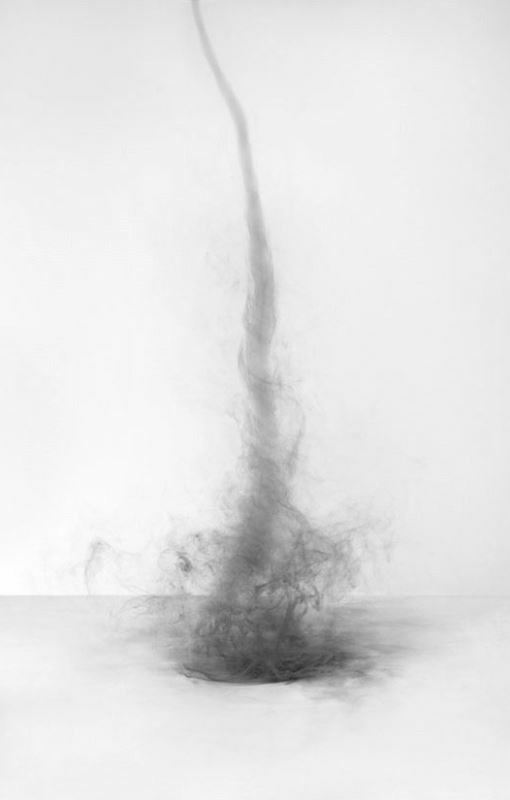 Its form references natural whirls, and its main characteristics – variability. Lean, tampering profiles give the sculpture a subtle, delicate appearance, despite its true enormity. 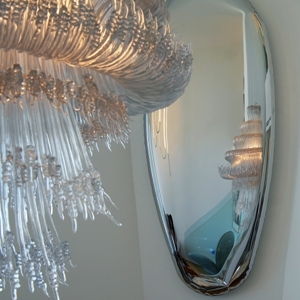 The sun, shining through the ceiling, reflects beautifully off its myriad surfaces. At the first design stage of the sculpture, we needed to establish what parameters were needed to generate the form. We then created custom software to allow modification of the design using Bezier curves. 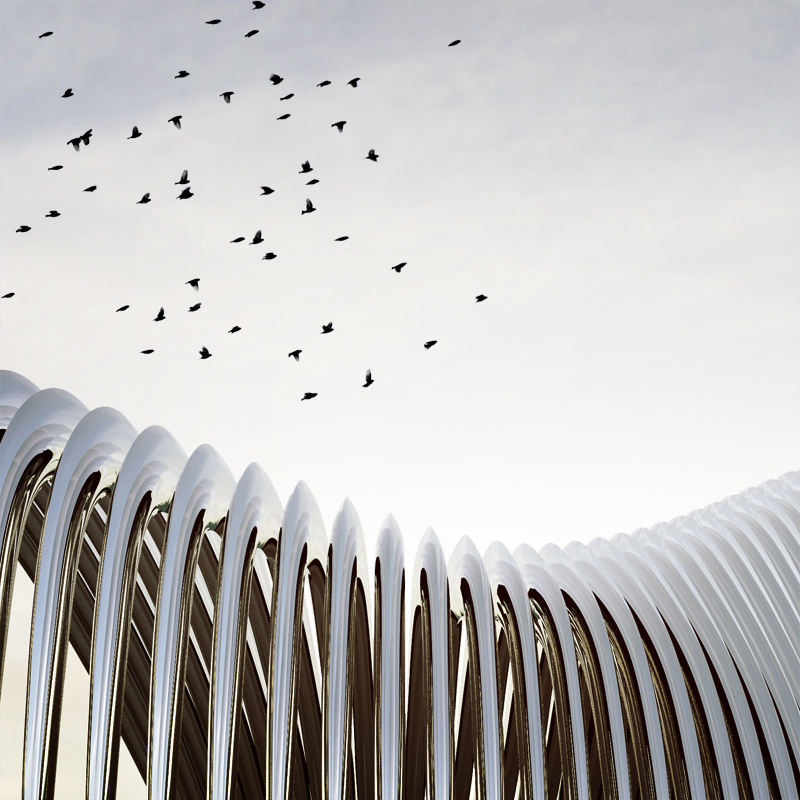 The shape of the WIR public sculpture was created using parametric design, with several generations of varied profile arrangements were created before selecting the final form. 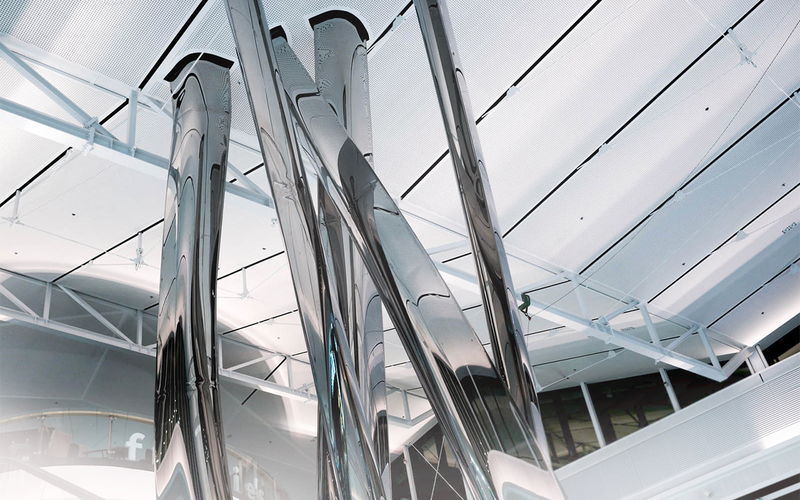 Parametrics also helped us effectively control the design process and prototype every stage. 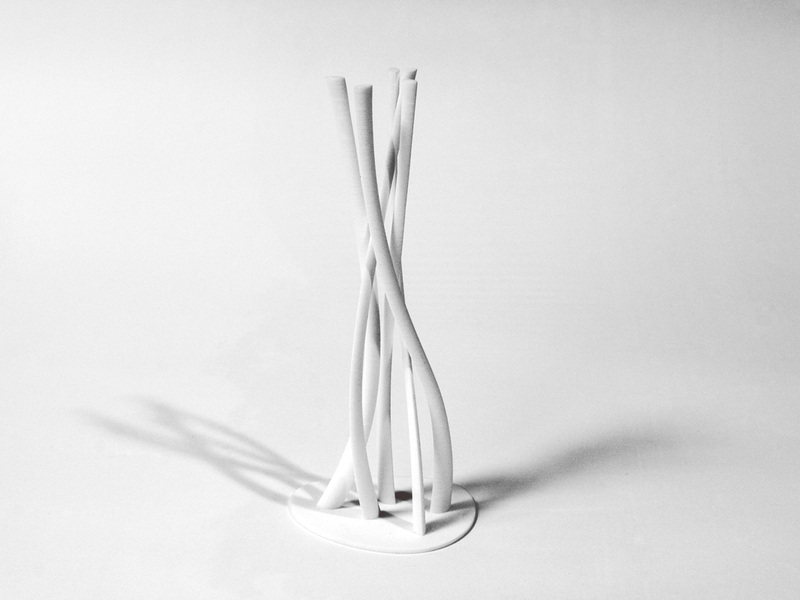 These 3D-printed prototypes allowed for quick visualisation of our work. We could physically check the functionality and stability of the designed forms, as well as judge them from different angles. prepare proper workbenches, import materials from Italy and gather together the production tools. Every stage of the prep work was supervised by a team of specialists who, step by step, worked together to create a new showcase for FiDU. on an overnight journey from Zielona Góra to Warsaw. 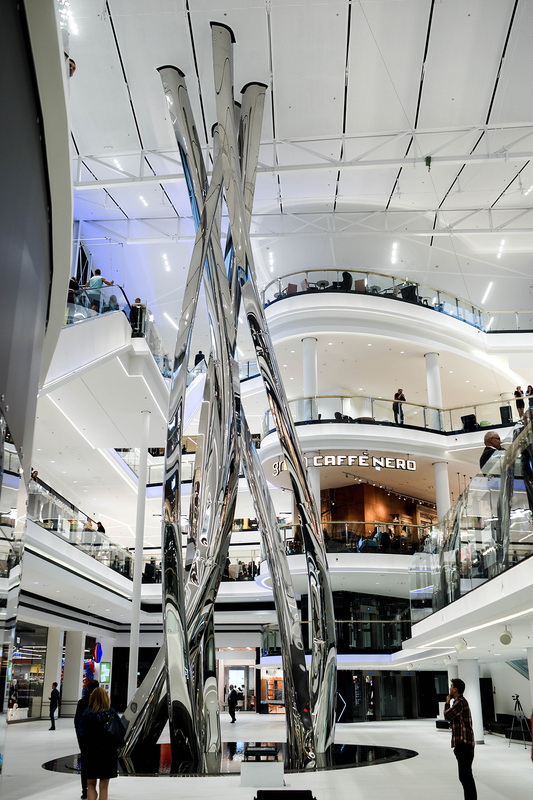 Each profile piece had to be taken down from the lorry, then brought to a vertical position using a crane and hoist, and lowered into the shopping centre through the roof (the heaviest of the pieces weighed 900 kg). the pieces were fixed to round plates that had earlier been positioned by surveyors. These anchors ,protruding from the concrete, had to be precisely matched with the bolts on the profiles’ end caps. Finally, this lengthy, strenuous process was successfully completed, and the WIR sculpture stood in its destined location. with architecture and parametric design. Total surface area is approx. 250 sq. m.